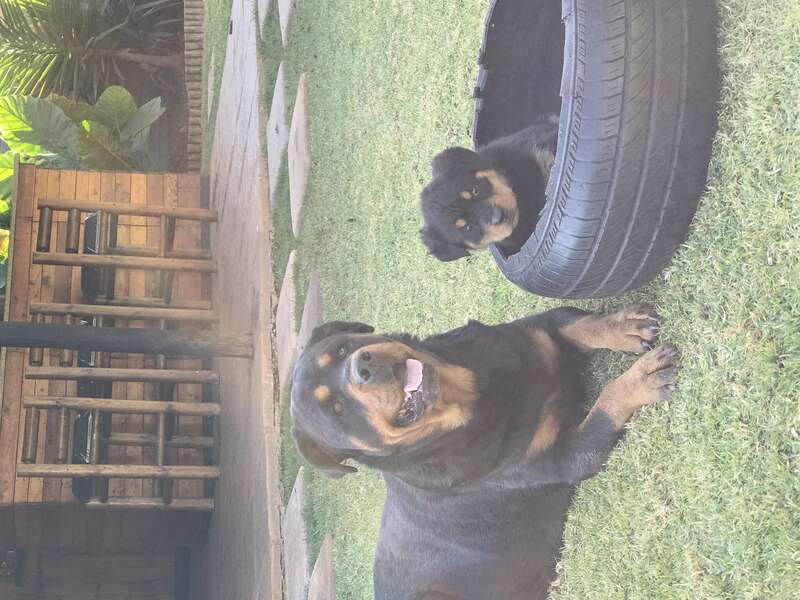 Purebred Rottweiler puppies for sale. Innoculated and dewormed. Parents available for viewing. 8 weeks old. Great family watch dogs.